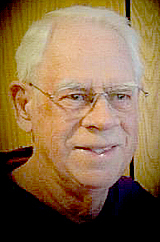 Mark Allan Swift age 86, of Comfrey died on April 2, 2019, at Ridgeway on 23rd in New Ulm. Services were held at St. Paul’s Catholic Church in Comfrey on Friday, April 5. The clergy was Father Andy Michels. Interment was in the St. Paul Catholic Cemetery in Comfrey. Arrangements were with the Sturm Funeral Home in Comfrey. Online condolences may be left for the family at www.sturmfh.com. Mark Swift was born in Waseca on February 22, 1933. Mark grew up in Waseca and later attended Sacred Heart Catholic School, where he graduated from high school in 1951. Mark worked for a time for the Bell Telephone Company until his enlistment in the US Army. Following basic training, Mark was stationed in Seoul, Korea where he served the Army as a supply sergeant. Following his honorable discharge Mark enrolled in Mankato State College where he majored in business administration with the intention of returning to the Bell Telephone Company in a management administration position. After discussion with friends and advisors, Mark decided that he wanted to become a teacher and changed his major to business education with a minor in athletics. On June 1, 1957 Mark married Jean Marie Betchwars also of Waseca. After their marriage Mark and Jean settled in Mankato where Mark continued his education. On Dec. 25, 1958 the couple welcomed a son, Steven Mark Swift born in Mankato. Mark received his bachelor degree in business education in 1959. In the fall of 1959 Mark accepted a position in the Comfrey school district as business teacher, where he taught business law, accounting, bookkeeping, typing, keyboarding, office practice, and as most Comfrey students remember, driver’s education. He was the longtime advisor for the school newspaper, the Spotlight and the school annual Echoes. In addition to these duties, he also coached B team basketball and track. Mark continued in this position for his entire 37 year teaching career. Mark is survived by his wife Jean; sons, Steven and wife Renee Augustin Swift of Jackson and Joseph and wife Alicia Pollock Swift of New Ulm; grandchildren, Sara Swift, Samantha Swift, Cassie Swift Getting (Jalen), Maggie Swift, John Swift and Matthew Swift and great-granddaughter, Ruthie Marie Getting.